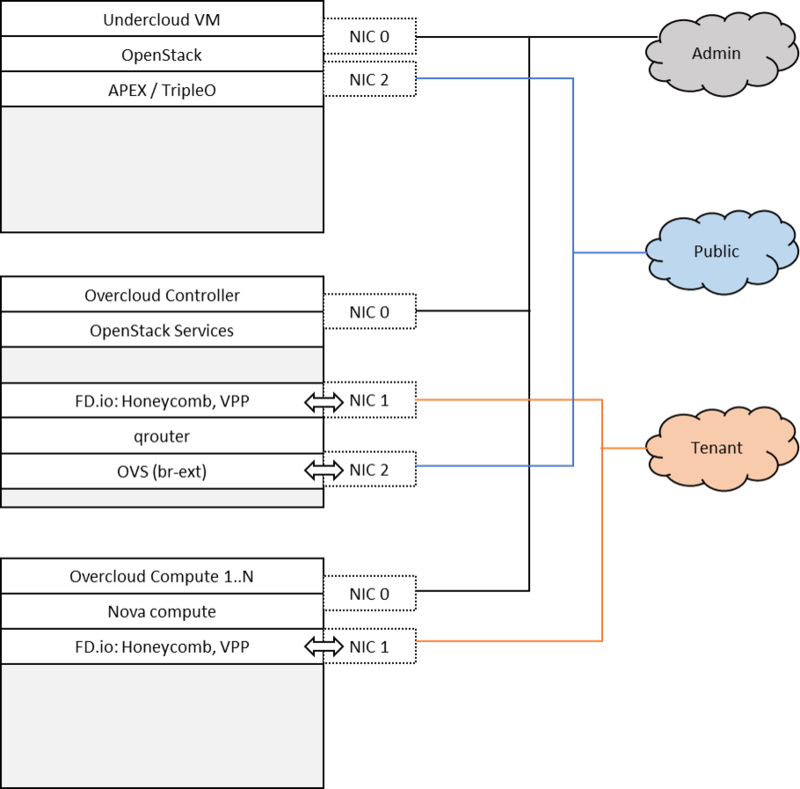 Scenario: “OpenStack - FD.io” (os-nosdn-fdio-ha) is a scenario developed as part of the FastDataStacks OPNFV project. The os-nosdn-fdio-ha scenario combines components from two key open source projects: OpenStack and Fast Data (FD.io). In order to make Fast Data (FD.io) networking available to this scenario, an ML2 mechanism driver and a light-weight control plane agent for VPP forwarder has been created. For details see also https://github.com/openstack/networking-vpp. To enable the “os-nosdn-fdio-ha” scenario check the appropriate settings in the APEX configuration files. Those are typically found in /etc/opnfv-apex.